Good morning lovelies! Hope you’re well on this fabulous Wednesday? 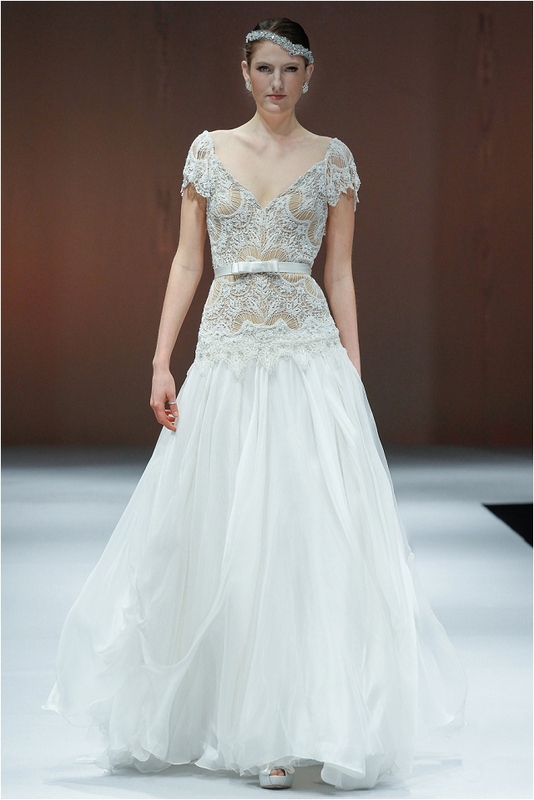 I’m super excited to share the beauty of the Victoria KyriaKides Fall / Winter 2014 collection that was spotted on the catwalks of Bridal Fashion Week [Bridal Market Autumn 2013] in New York [can’t wait to share my fave gowns with you next week]. Victoria’s designs are distinguished by body conscious feminine cuts, minimalism, use of quality materials and timeless ideas. Victoria KyriaKides – VKK is a fashion designer actively working in London, Athens and New York City. Her designs are described as minimal, luxurious and feminine. VKK collections are made exclusively by couture dress-makers in Europe, using only lush fabrics such as delicate laces, smooth silks, French soft tulles and handmade elements. VKK’s philosophy is the attention to detail. Her FW 2014 Bridal Collection presented at New York International Bridal Week (October 2013), to public, buyers, press and media, showed simple yet clever cuts. Inspired by the body in motion, the art of cinema and the ambience of classic movies, the designer’s new line is consisted of stunning storytelling gowns. Each dress has a different story to tell. “Bunches of Love” takes us back to the 1930s and the Jazz era whereas “Marlene DS” takes us for a red carpet walk. 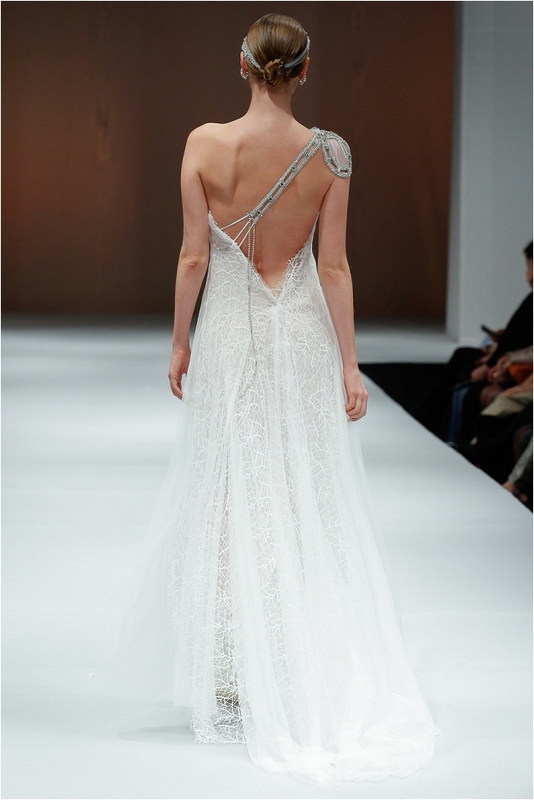 As a visionary designer, Victoria KyriaKides always keeps a balance between simplicity and elegance. This is what makes VKK brand, unique. So what do you think lovelies? 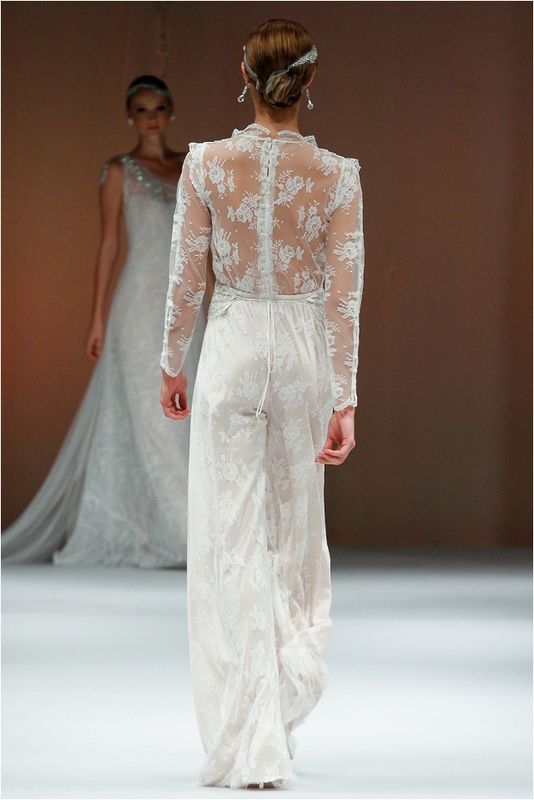 Would you wear a bridal jump suit? I think my fave is O Academy, love the long sleeves and that low, low back! Rather excitingly Victoria’s KyriaKides stunning bridal gowns are now available in super chic bridal boutique Les Trois Soeurs, based in Canary Wharf, London.